About $750,000 meant to be used for crumbling foundations testing is being moved to other coffers after a lack of applications from towns for the money. 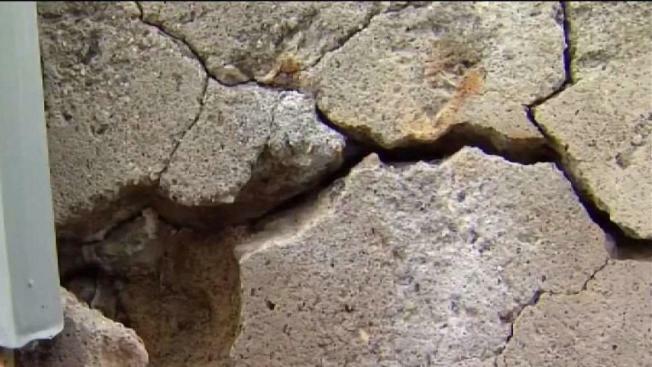 The $1 million set aside for towns to test homes for crumbling foundations is the target of a political furor in Washington, D.C. and in Hartford. The backlash started when Congressman Joe Courtney, who represents Eastern Connecticut where the issue is most prominent, wrote a letter questioning the sweep of $750,000 meant for municipalities to use for testing homes. The money was part of a larger grant from the federal government. Municipalities were tasked with applying for the funds. In the end, only Coventry filed an application on behalf of the town and seven other small towns. The application was successful, leading to $250,000 being provided by the state. The rest of the money was reallocated within the Department of Housing, something both Democrats and Republicans in the Connecticut General Assembly said was an acceptable outcome. “What happens is if the state doesn’t encumber that, the feds take a look at that and say, well, it looks like you didn’t need that so it looks like you’re going to lose $750,000 in perpetuity and that is money that is spent across the communities in ways that they need,” said Rep. Jeff Currey, (D – East Hartford), who has worked on the crumbling foundations issue. Republican Kurt Vail said in a statement, “It’s important for our towns to realize that they are still eligible to apply for grant money in the future. The reallocation of money earmarked for those affected by crumbling foundations highlights the fact that all stakeholders must work closely together in order to provide viable solutions to homeowners. Lawmakers said they hope to come up with a way in the future to have the funds available for a longer period of time. South Windsor Republican Tom Delnicki also weighed in. “The money didn’t really go away. It wasn’t swept away purposely. It’s still in the state’s control and conceptually we could address it again," he said.